An Independent Advisory Panel will provide its recommendations on dog rehoming and euthanasia to an Invercargill City Council Committee next week. The Independent Advisory Panel, made up of six members of the public, was established late 2017 to investigate options for dog rehoming and euthanasia and to consult with the public. It has completed a report which will be presented to the Regulatory Services Committee. The Panel has recommended that euthanasia be undertaken by intravenous injection (IV) at the Animal Care Facility wherever possible. However, the panel acknowledges that captive bolt may be used if the dog poses a significant risk and that captive bolt would be less distressing and a more humane way for the dog to be euthanised. Other recommendations include that the Council undertakes control of rehoming dogs ‘in house’, that a comprehensive rehoming policy document be developed, and that the rehoming and euthanasia of dogs be paid for through rates, rather than solely through dog registration fees and infringements, because it is a public service. The Panel also called for Council to develop a staff well-being policy, and to install exercise areas at the Animal Care Facility. Regulatory Services Committee Chairwoman Rebecca Amundsen, who helped facilitate the Panel and its meetings, said she was incredibly grateful for the work the Panel had put in. The Panel’s report will be considered by the Regulatory Services Committee at a meeting on Tuesday, 10 April. Panel members will be attending the meeting to answer any questions from Councillors. The full report is available in the Regulatory Services Committee Agenda, which is available on the Council website. 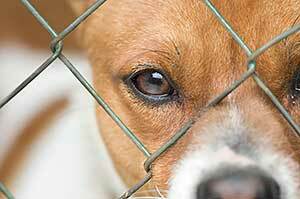 This entry was posted in Council and tagged captive bolt, dogs, euthanasia, panel. Bookmark the permalink.